So Jake plays a lot of Skyrim. And I’ve taken to watching him play like it’s some sort of weird never-ending movie. I can’t help it. 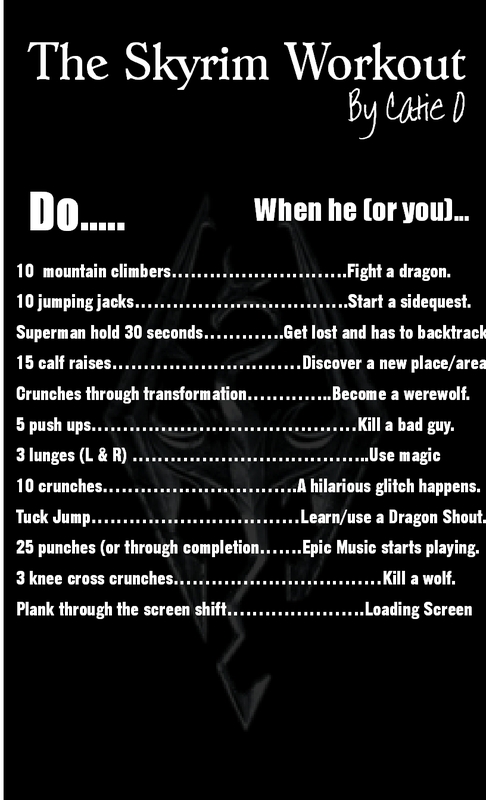 But I realized that I’ve also been sitting around a lot this summer, so, much like those “movie workouts” that I’ve been seen all over the internet, I’ve created this Skyrim Workout for…well, anyone who sits and watches their friends play video games. Holy crap this is amazing!!! I’m addicted to watching too!! !